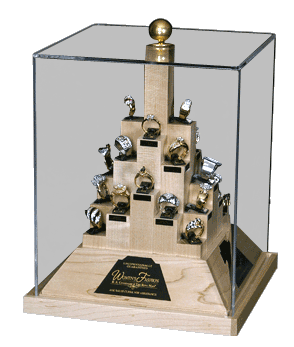 In a word our 24 style ring programs are “great”! Featuring our best selling Ladies and/or Men’s styles in popular price points, this display will maximize profits with a minimum investment. It represents the least expensive entry point into our program. This display is 8 ” square and 12” tall.